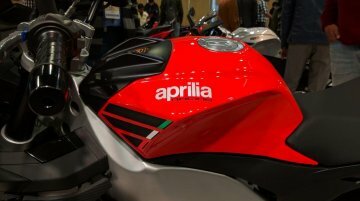 Piaggio Group-owned Aprilia is set to introduce its range of 150cc motorcycles in India in the next 12-15 months (February-May 2020), reports Economic Times. 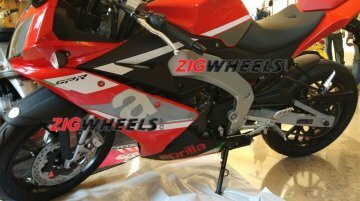 These will be the Aprilia RS 150 and the.. 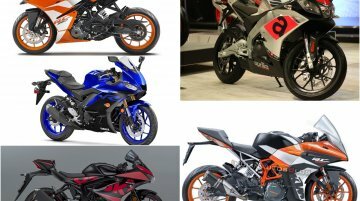 The entry-level performance motorcycle segment is bustling with the introduction of quite a few new offerings. The Indian consumers have an obsession with fully faired bikes, and no wonder the Yamaha..
Piaggio India showcased the Aprilia RS 150 at the Auto Expo 2018 in February last year. 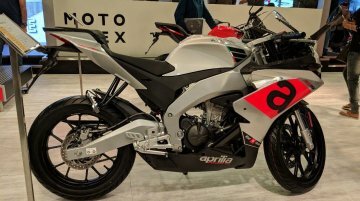 In a new development, a unit of the Aprilia GPR 150, which is a similar motorcycle, has been spotted at a..
On the sidelines of the 2018 Aprilia SR 150 range launch, IAB learned that the Aprilia RS 150 and the Aprilia Tuono 150 will not launch in India before 2020. 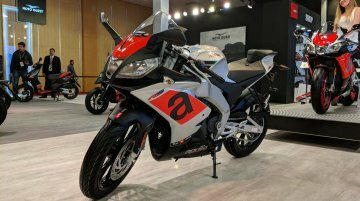 Piaggio India has showcased the Aprilia RS 150 and the Aprilia Tuono 150 at the 2018 Auto Expo in Greater Noida. Here are the two motorcycles’ live images from the show. The design language of..